Thunder Valley Sand Drags in Grain Valley, MO is proud to host the upcoming Show-Me Fall Nationals on September 21-22. This event will be the third race in the four race Mid-America Sand Drag Series. The points races are heating up in all of the Pro Bracket categories. There is expected to be a nice turnout of Top Alcohol & Top Eliminator cars for this event. Also, a full slate of bracket classes will be contested over the course of the weekend. Click “Read More” to view full event details. 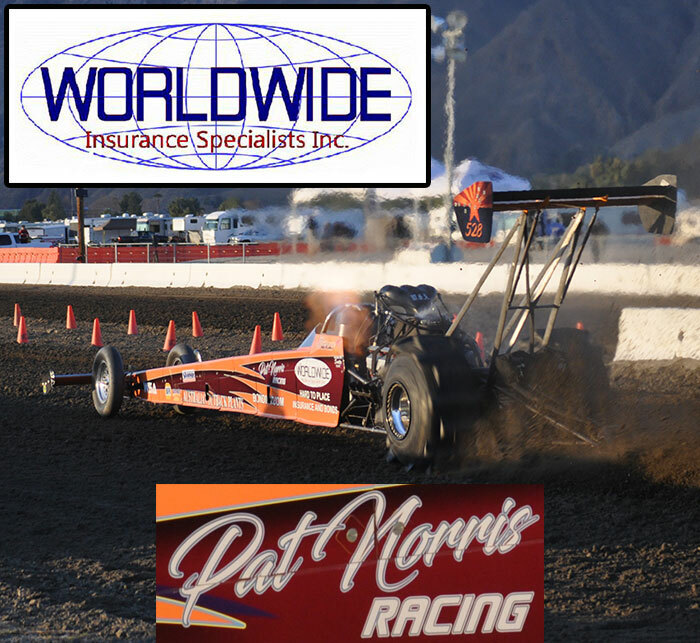 Dome Valley Raceway presents the 3rd Annual October Showdown to be held October 20-21, 2012. This will be the 7th of 8 NSRA point series events for the 2012 season. All of the normal Dome Valley classes will be run at this event, including all of the heads-up classes. Stay tuned for more information regarding the October Showdown, including the race day schedule. Pro Truck Nationals and Little Sandy Raceway are proud to announce the upcoming PTN Championship Weekend 2012 on October 5-6 at the Grayson, KY race track. A new PTN Pro Truck champion will be crowned over the course of two nights of racing. Points will be accumulated during Pro Shootout (Pro Truck vs. The World) action on Friday night and Pro Truck class competition on Saturday, in which the racer with the highest points total will be the 2012 PTN Pro Truck champion. There will be classes for all types of race cars & ATV’s as well as a heads-up Pro Outlaw 200’ class for the big boys. Click "Read More" to view full race info. The Nitro Nationals at the Dirt 300 in Albuquerque, NM that took place in late June will air later this week on Fox Sports Net’s show “Race Freaks”. This half-hour show will highlight the Top Fuel, Top Eliminator, and Pro Quad Quick 8 classes. The SPEED TV “Lucas Oil On The Edge” airing dates will be announced at a later date. For full time & channel info, click “Read More”. The 2012 season at Atoka Motorsports Park in Atoka, OK continued on Saturday night with their sixth point series event of the season. This night would be swept by the Moore Family as the brother-sister duo of Gage (Pro 1 Cars) & Sydney (Pro 2 Cars) took both the money and trophy classes in their respective categories. On the ATV side of things, Rick Lovelace took the Pro 1 Quads victory, which moved him into a comfortable lead in the point standings. Rick also leads the Pro 2 Quads category with only the double points September & Fall Fest October events left on the schedule at Atoka. Read on for full race results. The folks at the Albany Motorsports Park in Albany, OR are putting on a three-day Labor Day Weekend event. This race will have Test and Tune on Saturday with bracket racing on Sunday & Monday. For more info, call Ryan at 541-908-3501 or visit www.albanymx.com. “Read More” to view the full event flyer. A lot of great sand drag action and news has taken place since I last wrote my column here on NSDN. NSDN covered two great races in Mid-June. 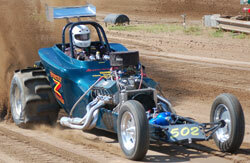 The first one was at Thunder Valley Sand Drags in Grain Valley, MO. The TVSD crew did a stellar job all weekend long & put on a first class event. It appears as though the Mid-America point series has been a big hit thus far, as there were nice turnouts at both the Atoka & Thunder Valley events. We are hoping the momentum continues on through the last two events coming up soon. From there, NSDN went on to Albuquerque, NM for the Nitro Nationals. Let me tell you this, the crew at the Dirt 300 did a phenomenal job for it being their first ever major scale sand drag event. They kept a well prepped track and ran a timely show, which in turn meant happy racers at the end of the weekend. Talking with Charlie Fegan, the head of the Dirt 300, he was very impressed with the sand drag racers and how friendly & cooperative we are. For those who don’t know, Fegan comes from putting on major drag boat events across the country. This group is the real deal, if you have the opportunity to hit a Dirt 300 event be sure to take it. West Michigan Sand Dragway in Mears, MI held their 20th Annual Appletree Automotive U.S. Sand Nationals over the last weekend in July. Stellar MI summer weather made for some great racing action as competitors came from as far away as Arizona, Missouri, and Iowa. Our friends from Lonestar Graphics were on-site taking some great photos. Gary & Michelle made the long haul from Texas. Their full photo galleries can be found on www.LoneStarGraphics.com & products can be purchased from them at anytime through their site. Also on site taking photos was Ohio’s Brett Sanderson of Sand2KInc Photography. Brett is new to the sand drag scene, but takes great shots as well. Read on for the full story on this event, and to view some great moments captured by these photographers. The First Annual Frankie Burgess Memorial Race took place in early August at Green’s Dragstrip in Henderson, MI. This was NSDN’s first trip to the Green’s track & we were certainly impressed with a great racing surface as well as excellent competition. A strong field of racers showed up for this Memorial event to remember Frankie Burgess, a fellow Michigan racer, who passed away earlier this year. Burgess lived just a few miles from this track, and there was amazing local support with spectators lining the track several rows deep to enjoy the action. The Burgess Family and their friends as well as the Mid-Michigan Trail Riders club did a great job of putting together a well managed, racer-friendly event. Let’s take a look at the racing action.